Kurt Staudter is the executive director of the Vermont Brewers Association, representing all of the breweries in the state. He and his wife, Patti, run the association from Springfield, Vermont. 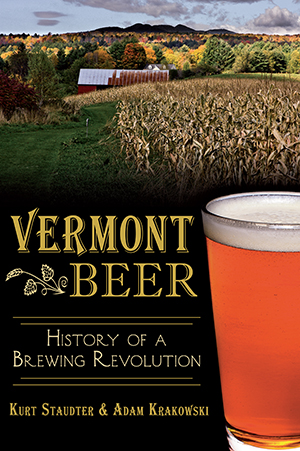 He is the Vermont columnist for Yankee Brew News, and has written about beer and politics in the Vermont Standard and Vermont Magazine. He learned about beer from his first-generation German-American father, who ensured his love for good food, great beer and family were passed on to the next generation. Adam Krakowski is a decorative and fine arts conservator in Quechee, Vermont. He holds a BA in art history, a minor in museum studies and an MS in historic preservation from the University of Vermont. He has worked at museums, historical societies, art galleries and restoration firms all over New York and New England, and was the recipient of the 2010 Weston Cate Jr. Research Fellowship from the Vermont Historical Society on the project "A Bitter Past: Hop Farming in Nineteenth-Century Vermont."